President Dr. Cheryl Dozier of Savannah State University (SSU) has agreed to serve as the Honorary Chair of the UCL beginning June 2015. A Memorandum of Understanding was signed between the University of Liberia’s President Emmet Dennis and SSU’s President Dr. Dozier last year where both institutions will make every reasonable effort to encourage direct contact, educational and research cooperation between their constituents, including students, faculty, departments and research centers/institutes. 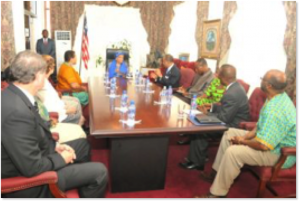 In Liberia, Dr. Dozier and a delegation of SSU professors will meet with academic and governmental officials. The delegation included Dr. Deloach, Terri Clay and Norbert Chandler, assistant professors in the Homeland Security and Emergency Management degree program and Dr. Samuel Dolo, professor of mathematics. 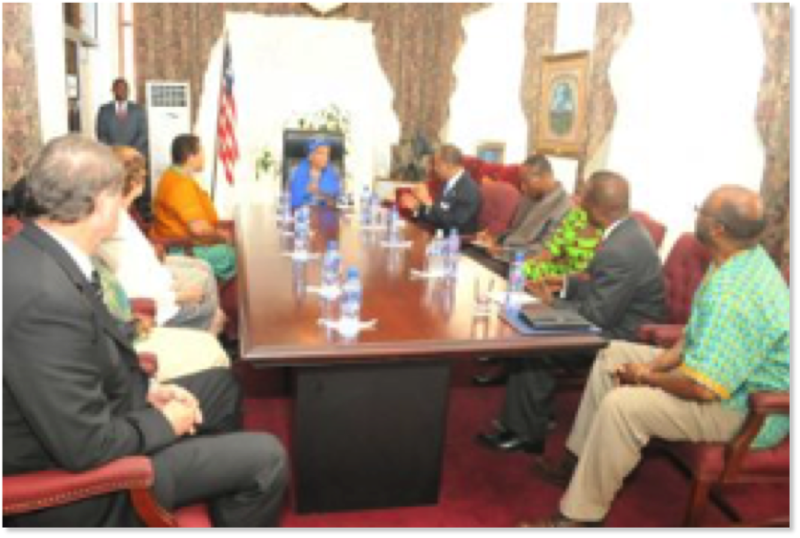 Dr. Dozier and her SSU faculty also had the opportunity to meet with President Ellen Johnson-Sirleaf during her visit SSU also provided a scholarship to Randal Glee, a graduate from the UL, to work towards his Masters in Social Work at SSU. SSU also presented the opportunity to host the 1st International Model African Union Conference in Liberia, however, due to the Ebola crisis, the event was postponed.